Electric String Quartets are a very popular act to hire for private events and product launches. Full of wow factor, moving away from the traditional classical string quartet, the electric string quartet was first started by the all female String Quartet Bond and this exciting concept has since been picked up by many other bands. Below are some of the most established electric string quartets and violinists across the globe. 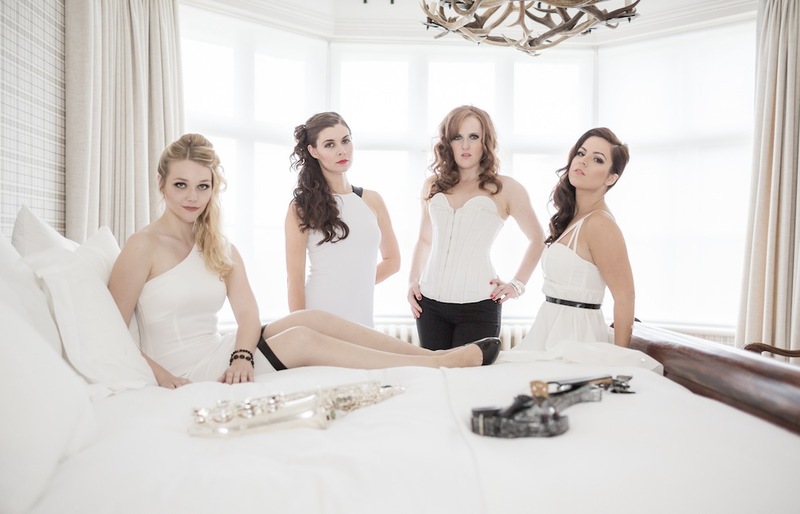 Capitalising on girl power, Bond is the infamous electric string quartet known for shaking up the classical music industry with their ‘classical crossover‘ and ‘synth pop‘ string sound. The Australian/British all female string quartet have sold over 4 million albums and performed at The London Olympics in 2012. 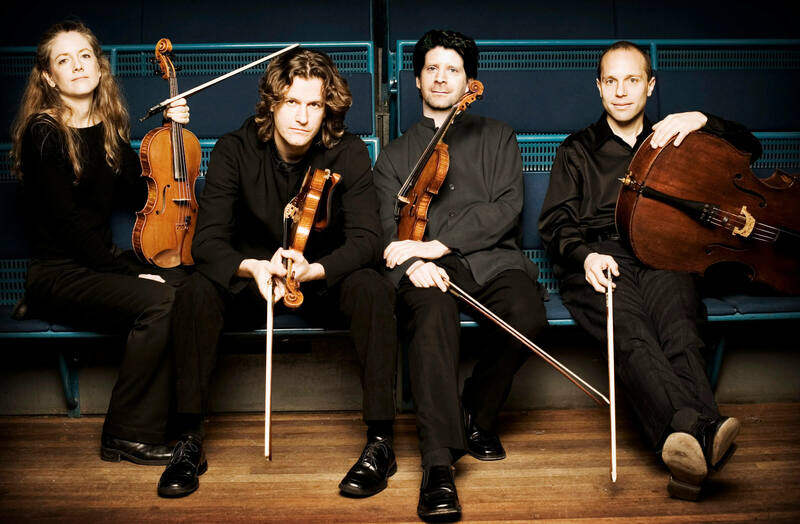 Previous string quartets had always performed sitting down and would have been associated mainly with classical music playing music by composers such as Mozart, Bach and Beethoven. Bond’s high energy performance of classical music as remixed club tracks brought a new concept to classical music and helped create the classical crossover genre. The quartet is made up of Gay-Yee Westerhof, cello; Elspeth Hanson, viola; Tania Davis, first violin and Eos Counsell, second violin. Bond has four studio albums, Born, Shine, Classified and Play, with Classified going double platinum in Australia. 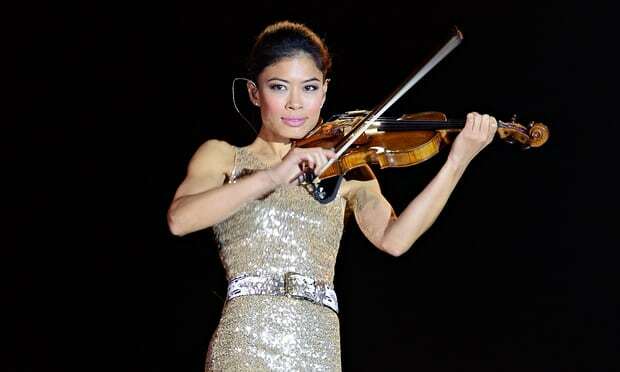 Vanessa-Mae performed with the London Philharmonic and toured with the London Mozart Players, before releasing her debut album, The Violin Player. The success of her first album saw a rise in the popularity of classical music and the electric violinist was later featured on Janet Jackson‘s album, The Velvet Rope. More recently, Vanessa-Mae made it into Classical FM‘s ‘300 best selling classical albums in the 25 years’, with her albums Storm, The Violin Player and The Classical Album. Sahara broke new classical ground, after being the first electric string act to include saxophone and modern choreography. The contemporary string band is celebrated for their high impact performances, collaborations with acclaimed professional dancers, improvised sets with live DJs and their original music. Sahara has toured worldwide, and has performed with musicians such as Robbie Williams, Olly Murs and Gary Barlow. Bursting on to the scene with their performance on Britain’s Got Talent, Escala were signed to Simon Cowell after reaching the finals in the popular Saturday night show and released their self-titled debut album in 2009. The electric string quartet cross genres and break into new areas of music and collaboration, through their performances with the likes of Pink Floyd and their varied arrangements such as Paul McCartney’s Live & Let Die. Escala are also known for their support of Help The Heroes, performing at various events. Their new album, Quadrasonic was released in 2016. Vitamin String Quartet are progressive, innovative and not actually a string quartet at all. VSQ is in fact a series of projects developed by a Los Angeles based record company, CMH Label Group, launched in 1999. The popularity of their original tribute albums resulted in the collection being named the ‘Vitamin String Quartet’ several years later and they are now respected for their tribute albums to rock and pop artists. Their albums include covers of Led Zeppelin, The Beatles, Adele and Linkin Park, to name a few of the huge variety of their 261 releases. Vitamin String Quartet has enjoyed wide popularity and success, with over 3.8 million downloads and numerous live performances. You have enjoyed their music, but have no idea where to hire these string players! All musicians are available to hire – even Kylie Minogue can be hired for the right fee! Electric String Quartets are an extremely popular entertainment option to hire for corporate events and private parties. The best way to hire any musician or string player for an event is to approach their music agent or manager. You will be able to discuss your event with them further and look at fees and collaborations. Recommended music agency Musicians Inc.
Sahara perform a high impact choreographed show ideal for product launches, corporate events and party organisers wanting to impress their guests. Sahara offer something for everyone with many different shows and performance options, making them the perfect electric string quartet to compliment any part of your evening entertainment. Electric String Quartet Show – A high impact choreographed show – Electric String Trio (saxophone and two violins) or Electric String Quartet (opt saxophone). Please use the contact form for any Sahara hire enquires.